One of the strange things about the 2018 season for the Twins was that the one thing that seems to be a constant organizational weakness — starting pitching — was an area they actually improved upon from the prior year. Join me as I take a look back at the best performances turned in by Twins starting pitchers this season. If you read the game recaps here at Twins Daily you should at least have some familiarity with the term Game Score. It’s a fun stat originally created by Bill James as a way to evaluate a starter’s performance. Tom Tango then built on that idea and developed Game Score 2.0. Here’s a link to some more information on how it works. *I used total outs recorded as the tiebreaker between this and the the other 86 score. That’s right, Berrios had all five of the best starts for the Twins as measured by Game Score 2.0. 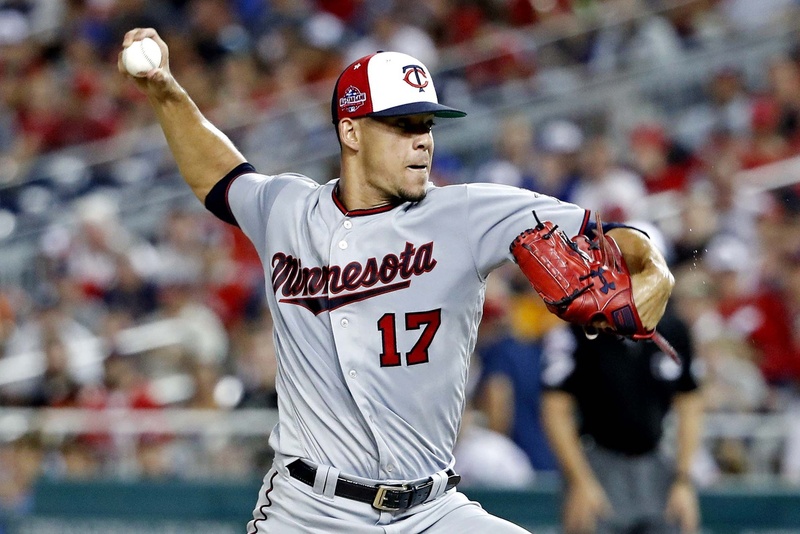 Kyle Gibson was the more consistent pitcher, but it was Berrios’ ability to go out and toss a gem that helped him earn a narrow victory in the voting for Twins Daily Pitcher of the Year. Speaking of Gibson, he just missed the cut, topping out at 84. He achieved that score on July 12 against Tampa Bay when he pitched eight innings of one-run ball with five hits, no walks and nine strikeouts. Jake Odorizzi’s best Game Score was a 78. That was the game where he carried a no-hitter late into the game, but ended up giving up a run on one hit and three walks over 7 1/3 innings, picking up five strikeouts in the process. Walk-Off Wins | I took a look back at all six of the Twins’ walk-off wins from 2018. Super Rosario and La Tortuga | Eddie Rosario and Willians Astudillo provided excitement in an otherwise down season. Here I reviewed some of their most entertaining moments. So, are you saying that Jose Berrios is the top Twins starting pitcher? No doubt about it.Gibson was a fun story, but there is only one Twin Pitcher you would want on the mound when you really needed a win. Expect he will be working hard during the off season to eliminate that stretch later in the year when he is average.Do that and everyone can start using the term ACE when speaking about him. The fact that the Twins staff had 57 starts...more than a third of the entire schedule...against Chi/KC/Det...and still only managed one pitcher that could post a GS of 85 or better, is faint praise for how 'good/improved' this staff really was. Also, in 2018, Berrios was flat bad against the good teams....big, ugly splits between teams over/under 500.But at least he capitalized on the big number of outings against pathetic offenses.He needs to get significantly better to be a legit number one for a good team.He seems to have the desire/determination (and youth) to make it happen. Perhaps the new strength and conditioning team were brought in to help with that. Along with getting Kepler's swing and Polanco's shoulder stronger. Also with getting more bullpen guys able to go multiple innings. So basically, what you're saying is that the Twins need to work on just a few key areas: outfielders, infielders, catchers, starters and relievers. If they can just get a few improvements in each of those few areas, they should be fine?